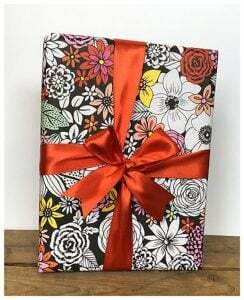 Do you need a gift wrapped with style? Ask any of us at The Village Quire in Westboro Village and we can help you with that! Whether it’s a wedding gift, a spectacular birthday gift for a child or the smallest jewelry box, I think we’ll have what you need. 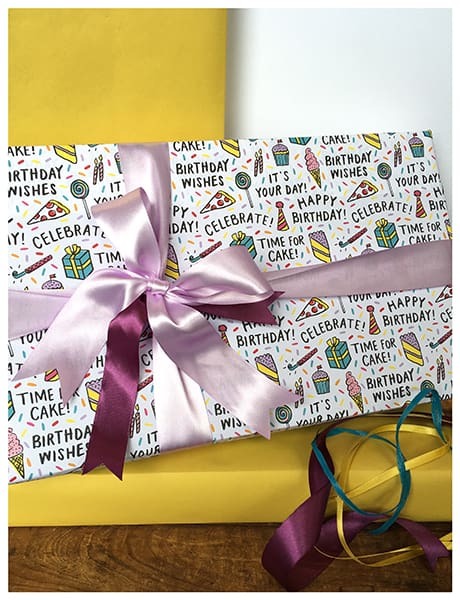 We stock a curated selection of wrapping paper. Patterned (think bicycles, birds, polka dots and llamas), plain (ten foot jumbo rolls in colours of the season like pale pinks and blues in the summer and teal, paprika or chocolate brown in the fall) as well as a handful of metallic papers. We try to keep gold and silver in stock and glittery fuschia, too. We have so many gift bags. The hardest size to find is a jumbo bag to fit pillows or sheets and blankets but we have them for wedding season. We also sell the smallest little gift bags for tiny treasures. 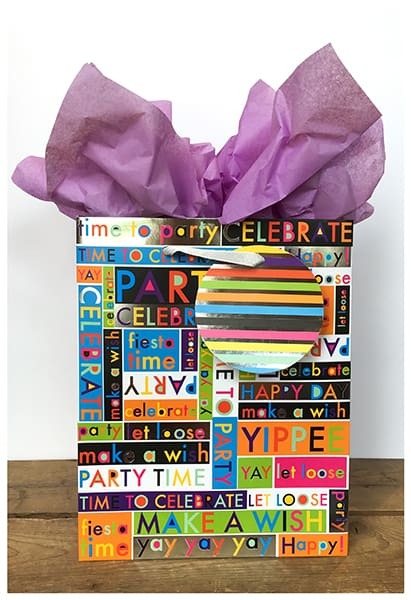 We look for paper that has been recycled and we hope the quality of gift bag we carry means the gift wrap is part of the present and it will be re-used down the line. 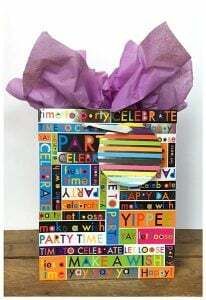 If you need a gift wrapped with creativity and whimsy, we can do it. We might ask you a bit about the recipient of the gift and why they are receiving the gift. When it comes to the ribbon or the colour of tissue, we’ll always ask if you know their favourite colour. We have pretty tags and little doodads and trinkets you can purchase to add a little whimsy or bling to the gift. Are you giving a gift card? Our advice is to add a little weight to the bag or box. Maybe some locally made chocolate or handmade soap. 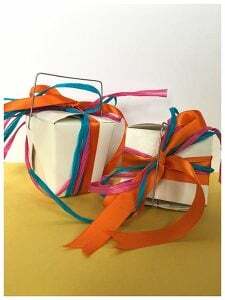 We’ll wrap the little chocolate or soap in some tissue and use ribbon to set the gift card just perfectly. Sometimes the gift you purchase is so perfectly styled, that all you need is a ribbon. Take Campy Candles as an example. 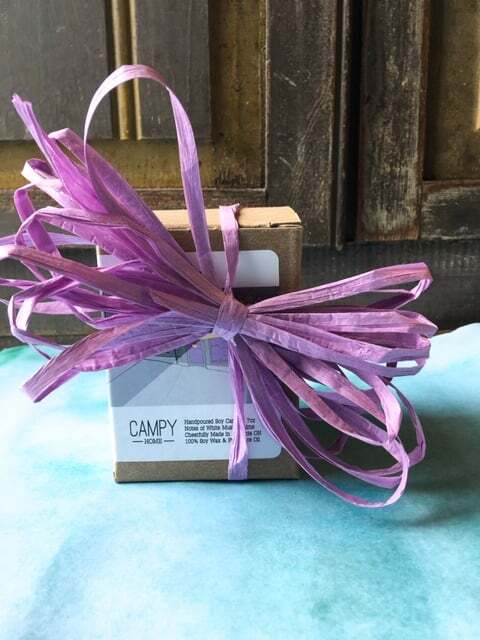 Paper Raffia Loops stacked and wrapped around the sweet design that makes Campy Candles the perfect gift for birthday or housewarming is all you need. And, YES. Little box, Big Bow. We don’t charge for the gift wrapping service. It’s all in day’s work here! You do purchase the paper and ribbons from us and we send you home with a beautifully wrapped gift and any leftover bits. Here are some examples of our gift wrapping and the approximate costs. Gift bags aren’t for everyone! 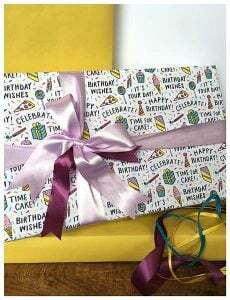 How about a gorgeous wrapping sheet and ribbons? You can pop into The Village Quire in Westboro anytime and choose from our collection of papers and ribbons and gift bags and tissue paper. Leave your gift with us (something we’ll suggest if it is a busy day) or have a poke around the shop while you wait. New this fall, we will have a little donation box set up and we hope you will pop a couple dollars into it when we wrap your gift. Cornerstone Housing for Women benefits from your generosity. Cornerstone not only provides shelter to women in need, but also helps residents build meaningful, productive lives that fit their needs. Cornerstone is committed to public education and advocacy. They are set to open their new space on Princeton, here in Westboro Village, this fall. Hire us for Gift Wrapping! Simple with just a good wrap and bow.A little elegant with some ribbons and more bows.I'm going for that "it's too pretty to unwrap". Tell us about the recipient(s) and their favourite colours, hobbies, etc. Yes, Sign-up to our newsletter! Call us and we'll be happy to answer your questions.